Volunteers of America has been on the forefront of social services for 123 years. Our talented and knowledgeable team is comprised of trusted professionals, who together, have decades of experience in the human services sector. Many have deeply rooted careers within the organization and have contributed to the development of some of our most innovative programs. They offer unique perspectives, insights, and information on a wide variety of timely issues including affordable and supporting housing, corporate social responsibility, family homelessness, domestic violence, the impact of childhood trauma, and behavioral health as it relates to veterans, youth, and individuals with a history of substance abuse. We encourage you to read more about our staff below. Our staff are available for media, speaking engagements, panels, and events that support our mission. To inquire about their availability, please contact Rachel Weinstein, Vice President of Communications and External Relations at (212) 496-4305 or rweinstein@voa-gny.org. Tere Pettitt was appointed President and Chief Executive Officer of Volunteers of America-Greater New York in 2014. 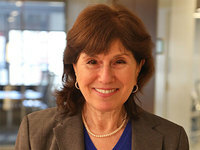 In her current capacity, she oversees a staff of more than 1,300 professionals and manages approximately 80 programs in the New York metropolitan area that serve individuals and families in need. 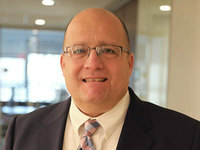 Brian Bardell is responsible for the expansion and growth of the organization as well as leading and managing a comprehensive array of services and programs in accordance with the mission, vision, and strategic plan. In his previous role, he managed specialized housing and veterans initiatives at VOA-GNY. 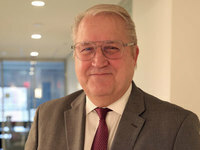 Paul Kress is responsible for carrying out the organization's strategic plan for growth in the areas of real estate development, new capital projects, and the development of new lines of business to sustain and grow the work and mission of VOA-GNY. 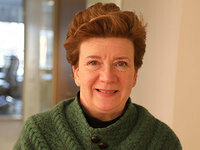 Julia Oliver is responsible for the overall fiscal stewardship of VOA-GNY and related entities as well as information technology. 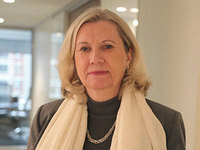 She oversees all aspects of the organization’s finance, including the development and management of budgets, preparation of financial statements and reporting to VOA-GNY board. 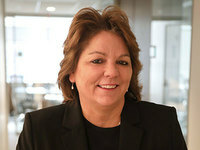 Lynne Plavnick has been with our organization for 25 years, and in that time has grown from a one-person department to a fully functioning Human Resources department, managing the benefits, insurance, and safety for our 1,300 employees across New York and New Jersey. A 30-year veteran of the nonprofit world, Dolores Swirin-Yao has served in senior leadership roles across many prestigious charities, and specializes in helping organizations start, turn around or take their fundraising programs to the next level. At VOA-GNY, Dolores is developing a robust fundraising pipeline and supporting campaigns for Operation Backpack® and the annual Gala. 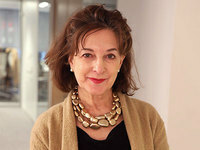 Rachel Weinstein directs the organization’s overall communications strategy including traditional and digital marketing, public relations, media relations and internal communications. She is the founder of Operation Backpack®, produces the organization's annual gala, and serves as the VOA-GNY spokesperson. 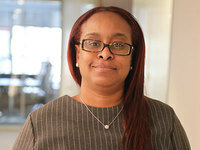 As Associate Vice President for NYC Housing and Homeless Services, Ms. Withers manages a $35 million service sector with close to 400 employees, comprised of 22 programs serving more than 5,000 clients annually. She has worked with the homeless population for the past 16 years. 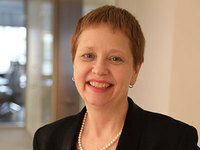 A 22-year veteran of the social services field, Leslie Armstrong currently works with individuals and families in specialized housing, overseeing transitional, emergency, and assessment shelter services for Volunteers of America-Greater New York. 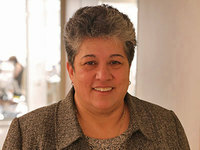 At VOA-GNY, Thea Jandzio is responsible for management of the Northern New Jersey service sector, which encompasses a broad portfolio of programs serving adults living in supportive housing, fee for service programs, residential youth services, and individuals living with developmental disabilities. She also oversees the homeless outreach programs at JFK and LaGuardia Airports and VOA-GNY's shelter for women in Queens. 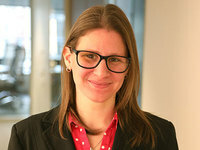 With a clinical background in mental health, Dr. English currently serves as the Behavioral Health Director at VOA-GNY where she works closely with adults and young adults diagnosed with severe mental illness, chronic homelessness, co-occurring disorders, and co-morbidity. 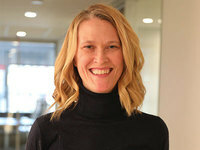 She is a strong advocate for trauma-informed and person-centered care. Nicole has had extensive experience in human services from starting as a case manager and moving into quality assurance. She's been with VOA-GNY since 2014. Ana Rolon has 21 years of progressive clinical experience, including six years overseeing the domestic violence programs at VOA-GNY. As Director, she manages the operation of three emergency shelters as well as off-site dwellings, provides clinical consultation, and acts as a resource for her staff. In addition, she is involved with community outreach and assists with the cultivation of donors, community board partners, and governmental relations.